Personal Injury Attorney in Merritt Island, FL | David R. Heil P.A. Dealing with the aftermath of a serious injury can be challenging, especially when all you want to do is focus on getting your health back. 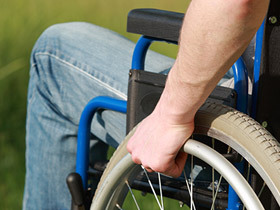 Having a seasoned Merritt Island personal injury attorney to help you is key. Without proper and knowledgeable representation, you may be left to the mercy of the insurance company whose main goal is to limit the cost of your payment to the lowest acceptable amount. When you are injured, you have a right to demand of those responsible compensations for medical costs, missed work, property damage, and more. If you or a loved one is harmed due to the negligence of another, do not hesitate to contact a dependable Merritt Island personal injury attorney. As a personal injury attorney in Merritt Island, FL I understand the deeply personal nature of each individual case. I am therefore committed to ensuring compassionate and responsive care that stands above the rest. Each case is unique, and I strive to understand all facets of your specific situation resulting in my effective and high-level ability to defend your rights. While a less dedicated personal injury lawyer in the Melbourne area may pass your case off to an investigator, paralegal or case manager, I personally handle each case with expertise, sophistication, and professionalism. My office is available 24 hours a day and 7 days a week, so you can receive a fast and immediate response the very moment an accident occurs. If need be, I will meet you in my office, at your home, or even in your hospital room, anywhere that diligent advice and support is needed. I am your dependable and trusted Merritt Island personal injury attorney, covering a diverse array of cases and always providing attentive personalized care. I assist my clients with handling the often complex difficulties of legal action, reducing paperwork and confusion in order to build a solid and reputable case in your favor. In many cases, insurance companies can be coerced to settle quickly out of court, or if necessary I will fight or your case before a jury trial. If you or someone that you know has been harmed due to someone else’s negligence I will help you find justice. You no longer have to worry about tirelessly searching for a competent personal injury lawyer in the Melbourne area to take your case. The preparation and unfailing determination that I give to each case allow me to get the best possible results for my clients. Furthermore, you will never pay a dime in costs or fees until a monetary reward is on in your favor. Call today to speak to a qualified Merritt Island personal injury attorney.